On 1 July 1954 The Pacific Air Force (PACAF) was activated at Hickam Air Force Base, Territory of Hawaii, and assigned to Far East Air Forces (FEAF), which was headquartered in Japan. Pacific Air Force at Hickam functioned primarily as the Air Force staff component and planning element of U.S. Pacific Command. On 1 July 1956, Pacific Air Force was redesignated Pacific Air Force/FEAF (Rear). Headquarters FEAF began preparations to move from Japan to Hawaii. Tensions between the Communist Chinese on the mainland and the Nationalist Chinese on Taiwan dominated FEAF during the mid to late 1950s. The 1954 and 1958 Taiwan Strait Crisis both threatened to break out into a war, and USAF F-104C units were deployed to Kung Kuan Air Base on Taiwan in 1958. The question of "Matsu and Quemoy" became an issue in the 1960 American Presidential election when Richard Nixon accused John F. Kennedy of being unwilling to commit to using nuclear weapons if the People's Republic of China invaded the Nationalist outposts. On 1 July 1957 United States Far East Air Forces was redesignated Pacific Air Forces and transferred its headquarters to Hickam AFB, Territory of Hawaii. By 1960, PACAF maintained a combat-ready deterrent force of some 35 squadrons, operating from 10 major bases in a half-dozen countries. The post-Vietnam era found the command focusing on improving its readiness, and PACAF's organizational structure saw a marked period of rapid and extensive changes. Inactivated at the end of the Vietnam War in 1975, Seventh Air Force was reactivated at Osan Air Base, South Korea in 1986 to take over Fifth Air Force activities in South Korea. 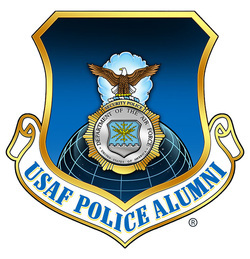 Andersen AFB was reassigned from Strategic Air Command in 1989, and Eleventh Air Force became a part of the command in late 1990. Following the volcanic eruption of Mount Pinatubo, Clark AB, the Philippines, was closed and Thirteenth Air Force relocated in 1991.